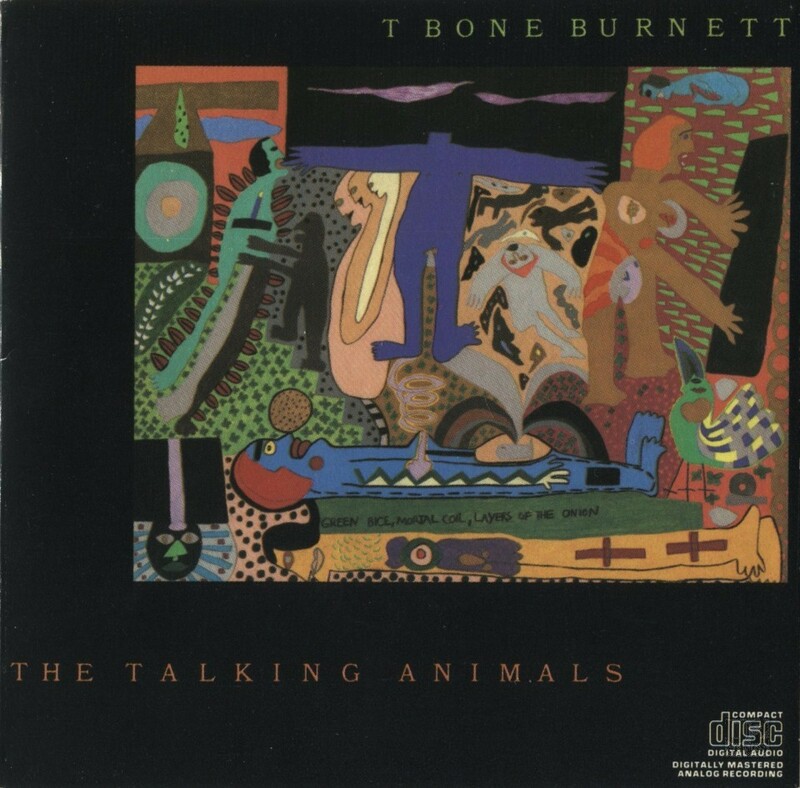 This 1987 album by T-Bone Burnett featured the song “Purple Heart” which Bono co-wrote, sings backing vocals on, and produces. In 1984, Ellen Darst was working as T-Bone Burnett’s manager, and was also managing U2’s New York interests at Principle Management. She put T-Bone in touch with Bono and they co-wrote a song together for 1984’s “Behind the Trap Door” album. At the time, Bono could not be involved with the recording of that song, so in 1987, when the opportunity arose again, Bono not only helped out by contributing lyrics to a song by T-Bone, “Purple Heart”, he also got involved in the studio and sang backing vocals on the track, as well as getting involved in the production of the song. In 1984, Ellen Darst hooked up Bono and T-Bone Burnett to work on a song for his album Behind the Trap Door. At the time Bono could not be involved in the recording of that song. So in 1988, when the opportunity arose again, Bono not only helped out on the song by contributing to the lyrics, he also sang backing vocals, and produced the song. It was Burnett that got Bono involved in a project with Roy Orbison. He was working with Barbara Orbison to relaunch the career of Roy Orbison’s with a new contemporary album. Bono would work with The Edge to write a song for Orbison which became “She’s a Mystery to Me” on the “Mystery Girl” album. Purple Heart: Written by Burnett and Bono. Produced by Bono, David Rhodes and T Bone Burnett. Recorded by Tchad Blake at Sunset Studio. T Bone Burnett: Guitar, Vocals. David Rhodes: Guitar. Mickey Curry: Drums. Tony Levin: Bass. Jerry Scheff: Bass. T-Bone Wolk: Bass. Mitchell Froom: Harmonium, electric piano, clarinet. Tom Canning: Piano. Backing Vocals: Bono.